The team successfully achieved the upgrade of the observatory. The second generation of electronic core, COSTOF2 operates the nodes in place of COSTOF and the observing capacity has been doubled by deploying a series of new sensors: a video camera with an improved image quality, a 100 thermistor string, an array of four hydrophones. 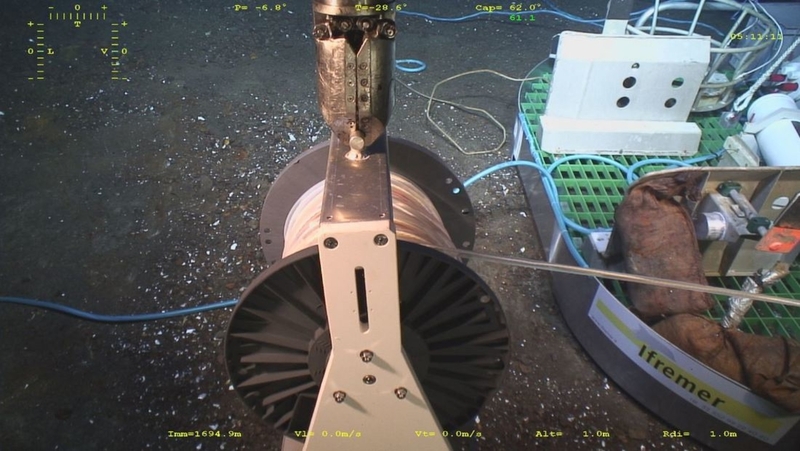 On the occasion of this maintenance cruise, the “Deepcorr” monitoring line dedicated to corrosion experiments has been deployed, thanks to the support of FixO3 Trans National Access. 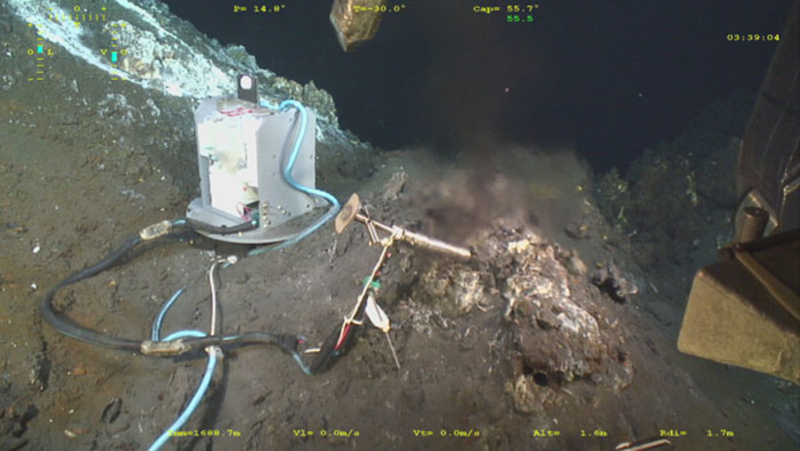 The cruise aims to carry out the maintenance on the observatory and investigate hydrothermal ecosystems in the Lucky Strike region using the ROV Victor. 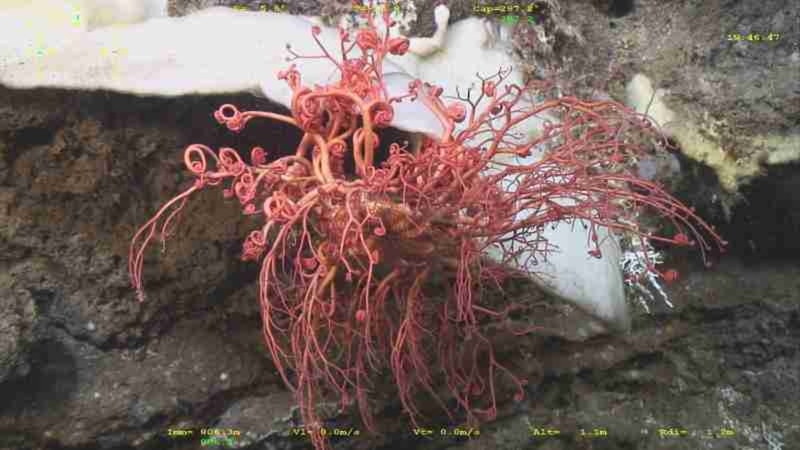 Marine science video portal: See the video data produced during the submersible dives. 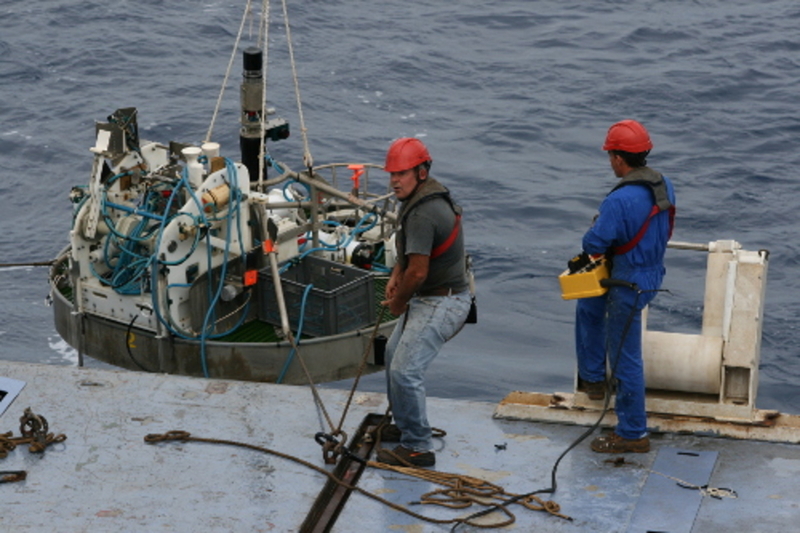 Third annual maintenance operations on the EMSO-Azores observatory. 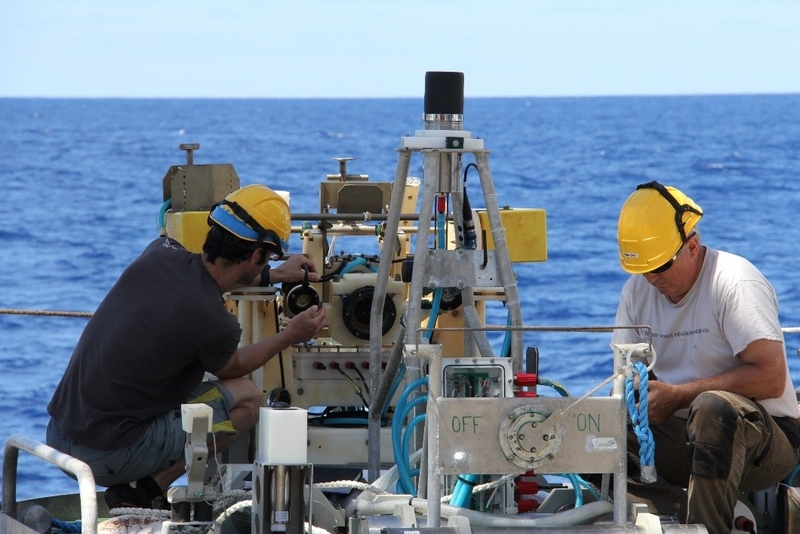 The objective of the cruise is to perform the annual technical maintenance and to acquire measurements and spot observations on the Lucky Strike field in order to validate the time series data, extend the range of parameters studied and improve the spatial resolution of the study. 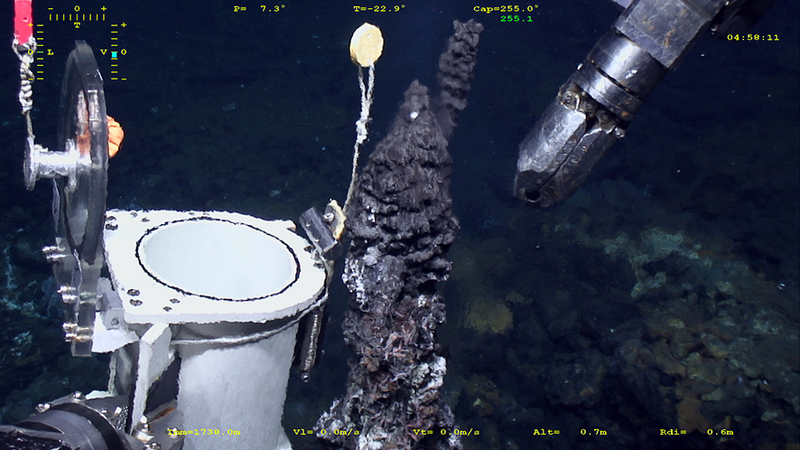 First maintenance work on the "standalone" observatory set up on the Lucky Strike volcano and the hydrothermal site of the same name in 2010. 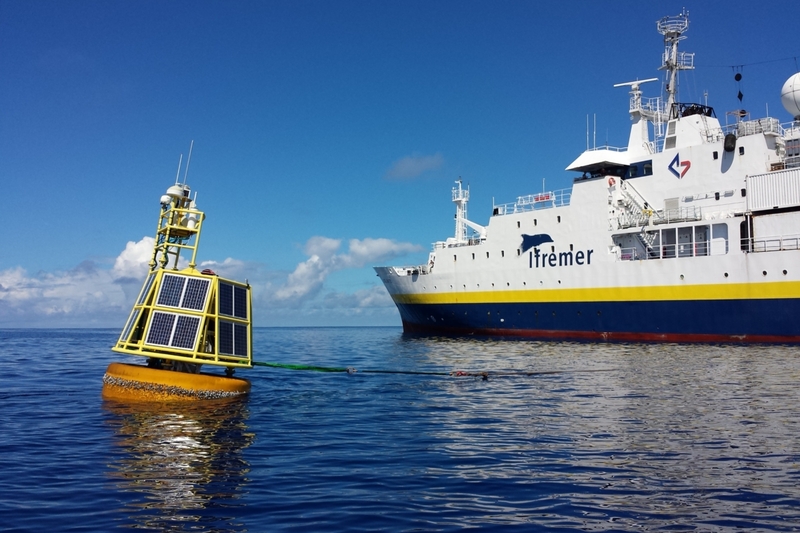 Led jointly by Ifremer and the IPGP-CNRS/INSU, the research cruise MoMARsat2010 aboard the R/V Pourquoi pas? 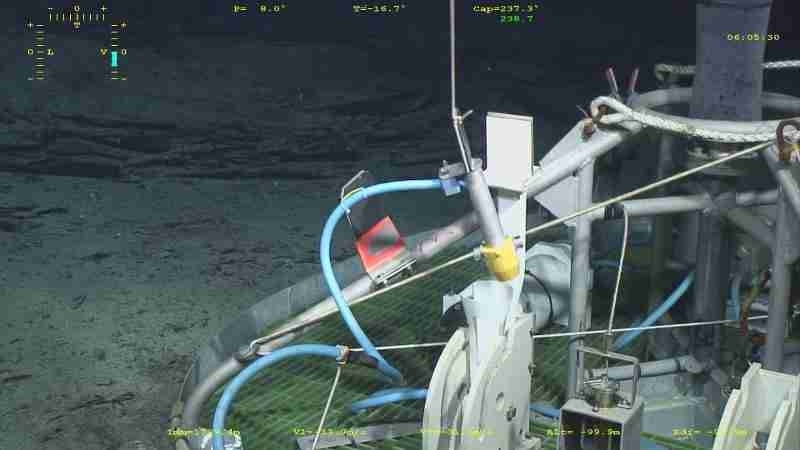 aimes to deploy an array of oceanographic instruments which will continuously monitor the active hydrothermal processes on the Lucky Strike vent field (Mid-Atlantic Ridge offshore the Azores) during one year. 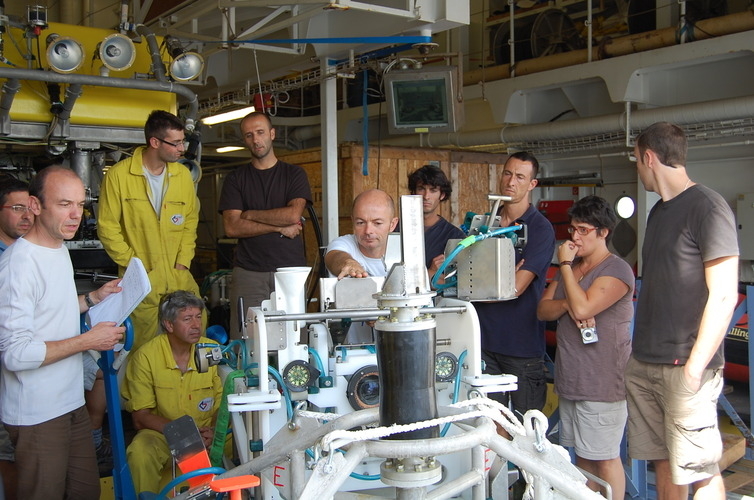 MoMARsat2010 is one of the demonstration missions of the European ESONET programme that is developing a network of deep-sea observatories.